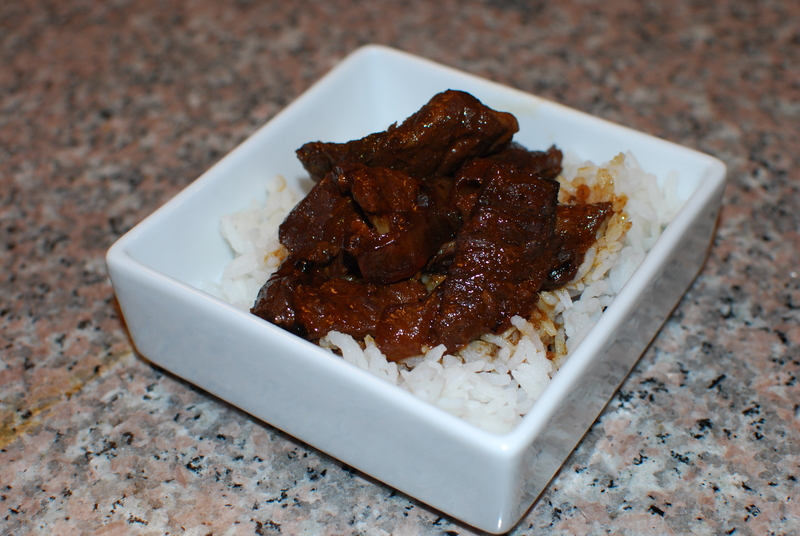 Mongolian beef in the Crockpot….so good. Everyone loved it, and even my pickiest eater had seconds! I love that this recipe actually calls for a long cooking time and that it actually benefits from the long cooking time. Mix garlic through cornstarch in a bowl. Add onions to the bottom of the Crockpot; then add the olive oil; then add the meat; and then pour the sauce over the meat. Cook on low for 6-8 hours. Serve with white rice.